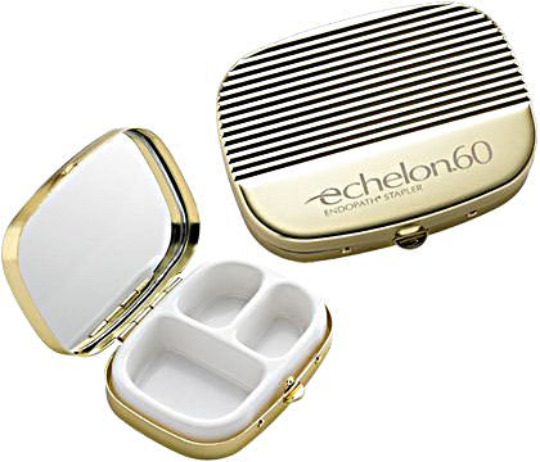 These engraved gold pill boxes are compact & stylish cases for your medication that may be easier than carrying a bulky case for each day of the week. 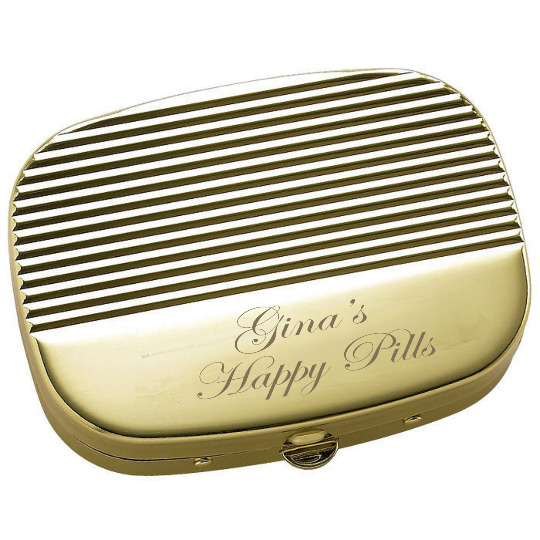 Each personalized pill case snaps and locks so you don't need to worry about losing something that is so important. 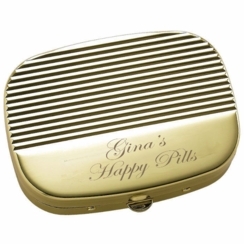 Each engraved pill holder can be engraved with a name, initials or short message.